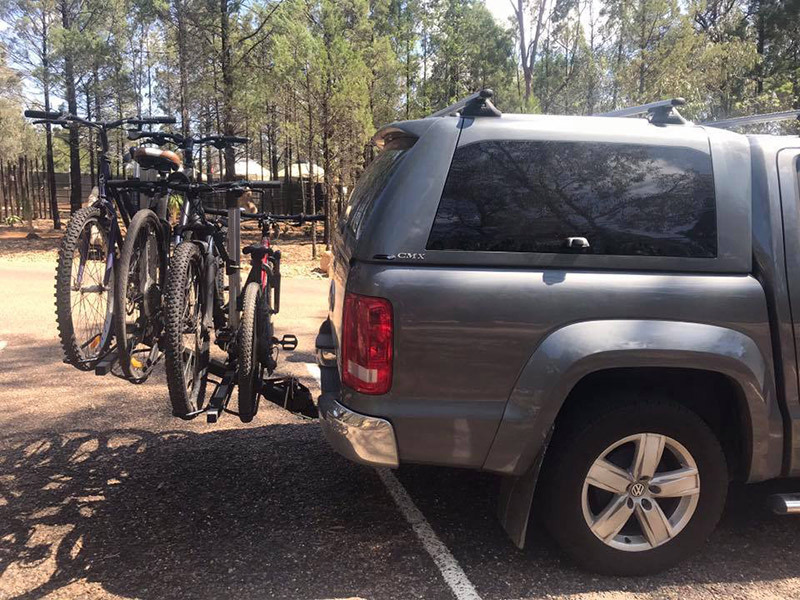 I’ve been meaning to contact you and let u know how well the bike rack works for us. 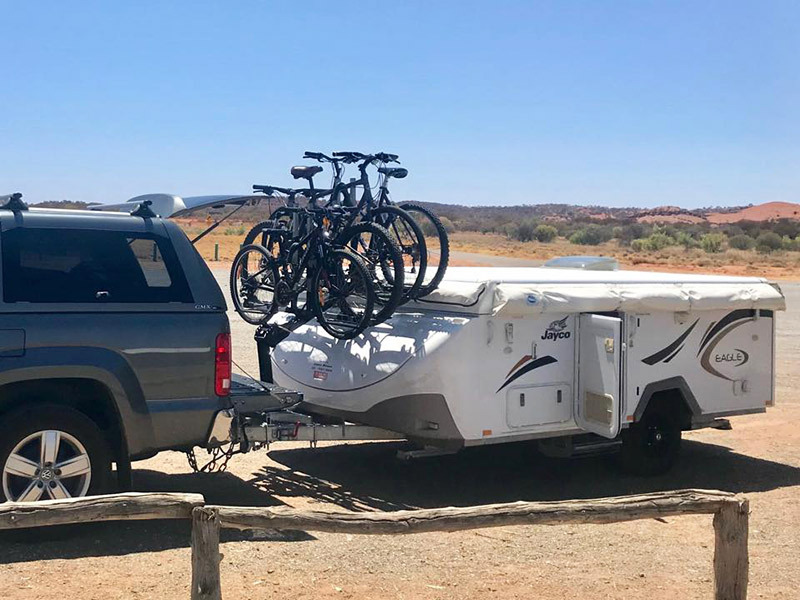 Having the use of our bikes on this trip has given us that extra freedom to explore further and enjoy our holiday even more, being able to move the bike rack from van to car or leaving on the van with 2 bikes still on the rack and folded over so we can slide the bed out has been very convenient especially for our overnight stay setups and pack downs. Thanks for providing a solution so rapidly. 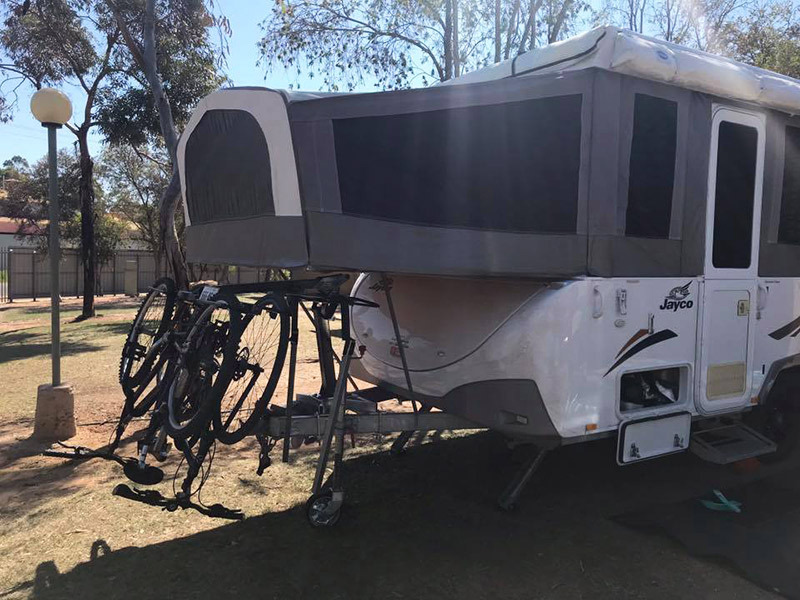 Can be used on the car as well, allows you to explore away from your campsite, here’s ours at Dubbo zoo. 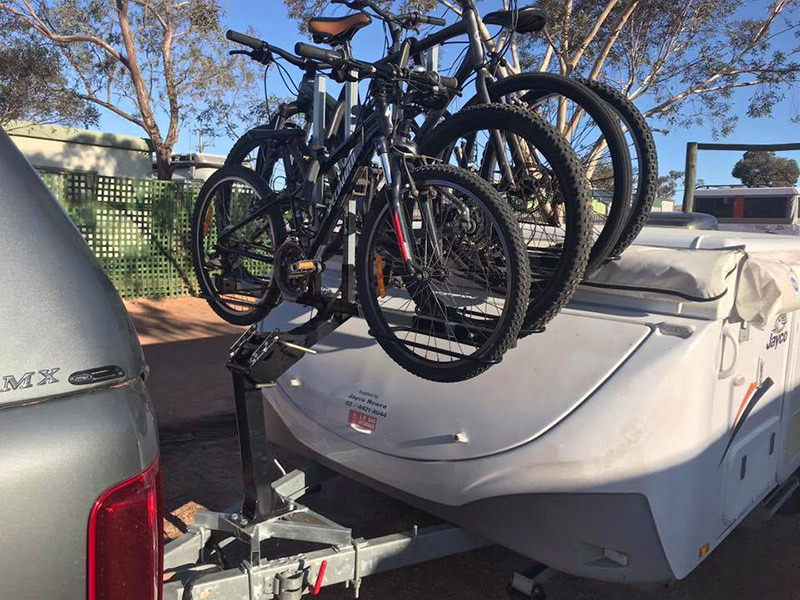 Isi is a great company to deal with, I realised during our trip to red centre that we needed an alteration for our particular setup and Zac from isi had the part manufactured and painted and it was waiting for us when we arrived at our caravan park in Alice. 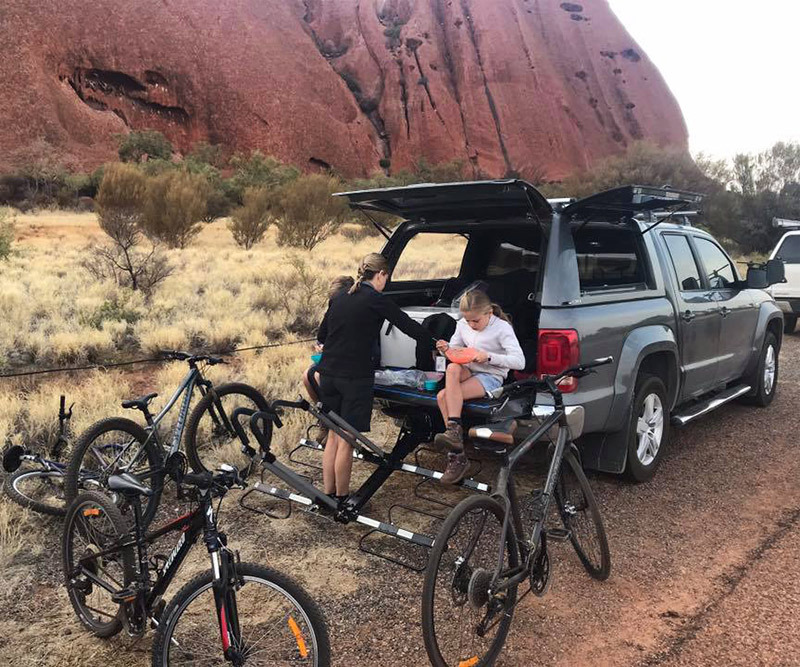 And the tailgate and canopy rear door on the car can be opened without obstruction with the bikes mounted to trailer. 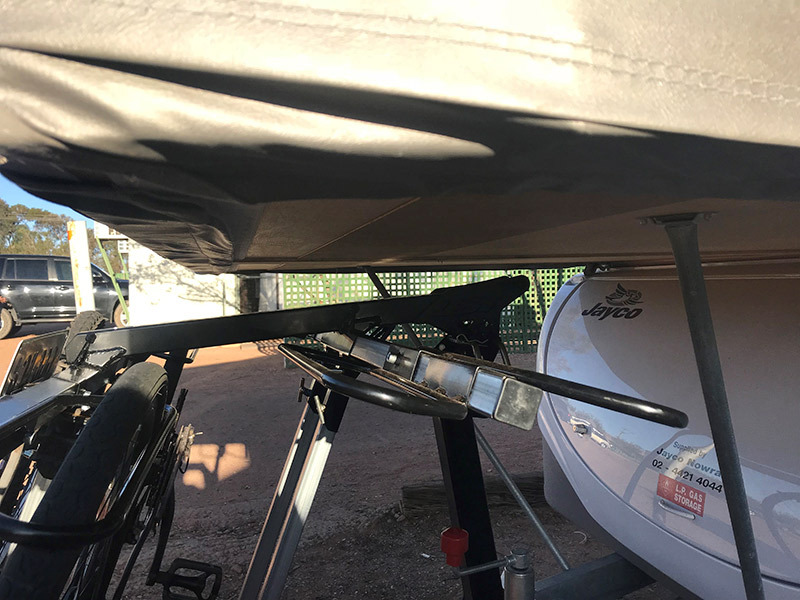 Though reduced, access to the front boot on the Jayco can still suitably achieved in this setup, not much different to accessing it with the bed out.